For many whisky fans, Glengoyne is on their top 10 list and a bottle or two or more are on their personal shelves. I have the 12 and 18 on mine and adore the 21. When The Whisky Wire /Tweet Tastings invited me to participate in a tweet tasting to celebrate World Whisky Day I was excited. 4 samples arrived including one mysteriously titled 59.8% ABV ?. In addition, there were the 10, 12 and 18 year old. Glengoyne distils slower than anyone else in Scotland. The Barley, Copik and Golden Promise is completely air dried, never seeing peat. 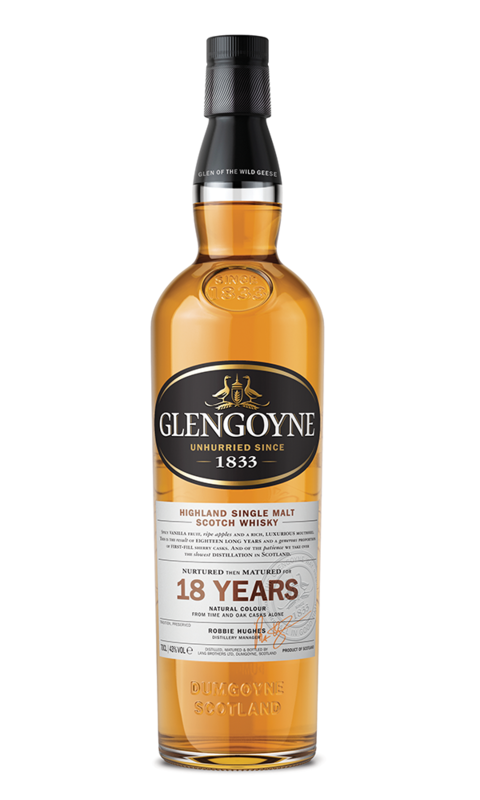 Glengoyne use hand-selected first fill sherry casks crafted from European and American oak. Glengoyne’s on-going commitment to the environment and all things green has been rewarded this year at the 2017 Drinks Business Green Awards, with the Amorim Sustainability Award for Spirits. They are part of the Ian MacLeod Group along with the excellent Tamdhu and soon to be joined by the legendary Rosebank in Falkirk. Glengoyne’s distillery plant sits in the Highlands, even though it is only just on the Lowland border with its warehouse located across the road in the Lowlands technically. These geographic divisions are a historic anomaly related to taxation, but in fact, Glengoyne is only 40 miles north of Glasgow. Everything Glengoyne does seem refreshingly at odds with maximising profits yet completely consistent with producing glorious whisky. 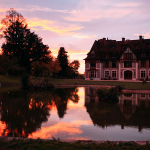 The use of Golden Promise is largely avoided by other distillers now because of its lower yield and nitrogen content – despite its undoubted contribution to taste. Natural drying takes more time and is more labour intensive. First, fill sherry casks deliver wonderful whisky but are becoming rare and increasingly expensive. These are whiskies for whisky fans, an elegant, medium-bodied style. So for the tasting. I settled down in front of my computer at my son’s house as he invited me to his Bar-B-Q. I taste with the occasional visits from the Hillfoots Rugby Club players celebrating their league win. The tasting started with the 10-year-old. The bright fresh nose was slightly herbal, almost heather, grassy with a touch of sour milk and a strong bourbon influence. The sour notes come from the shell andtube condensers I believe. 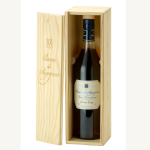 The palate had noticeable notes of ginger spice, cooking apples, almonds with creamy malt and barley sugar notes. 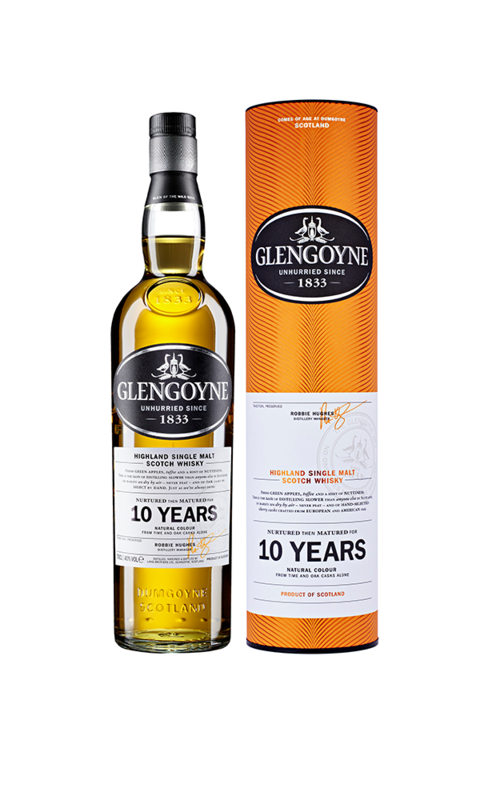 The 10 has a lovely spicy note to finish possibly ginger with dried apricots, apples and fading oak. This is a great spring summer dram (or indeed autumn or winter). It is fresh, interesting and has great style and flavour. the complexity belies its age but provides the sound foundation for the older expressions. The second dram tasted was the 12. I have tasted this before but find that the time and concentration required at a tweet tasting often reveals more than what I remember of any whisky. Here’s hoping! A great nose with aromas of marzipan, honey and spices, toffee apples, and honey, is that a touch of leather in the background. The palate is full of toffee, vanilla, a hint of lemon, almond and herbs, pineapple and chocolate and more lots more. 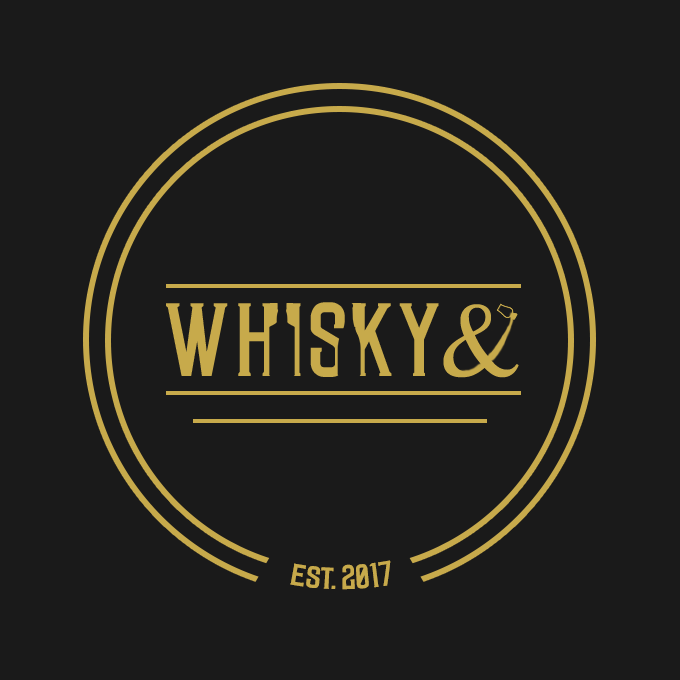 I am loving this whisky! The finish just reinforces the palate with ginger, cocoa, ice cream soda, a lovely balance between the spirit and the cask. It has an oily mouthfeel just to round off the smoothness. The 12-year-old just leapt to the top of my ‘must-buy’ list. It is simply a great whisky superb despite its relatively young age, testament to the care of the process and the quality of the barrels. The final core expression is the 18-year-old. I have this on my shelf all the time. It is to my taste one of the best 18-year-old whiskies around, great value as well as an awesome dram. The nose abounds with lovely deep aromas of leather, tobacco, vanilla, apricot, pears, cardamom, and rich tea biscuits. The palate delivers sherry, raisins, pineapple, marzipan, butterscotch, honey and pepper. It is spicy, it’s pepper hints, contrasting with vanilla but so smooooth. It is warming and exotic. The finish continues to deliver sweetness of caramel and dried fruits. This dram epitomises my favourite whisky; Taste in abundance, reliability, a lightness from the spirit matched with the darkness and spice from the barrel balanced with sweet complexity. Now for the mystery dram. I think that I know what it is – not that I am smart I just ‘Googled’ Glengoyne and the ABV. It is their latest Cask Strength Batch 6. It is as I write now released onto the market. We have a cask strength, un-chill filtered, first, fill sherry casks crafted from European and American oak. The nose immediately gives me a big malty vanilla hit, then sherry, butterscotch, rhubarb and custard. I detect the note of oud from my UEA days, (a sort of fragrant wood they use in incense burners. I love this nose one of the best I have enjoyed for a while. On the palate, it tastes its ABV even with water not harshly just elegant spirit notes. Great ginger spicy notes, biscuits, baked apples filled with raisins, banana, honey, creamy, peppery ginger, orange zest, fudge …. I could go on as each sip delivers more subtle flavours. The finish is lingering oak wood and hot spices, sherbet and almonds. If you enjoy your whisky cask strength this is definitely one for you and for me! Glengoyne keep their cask strength prices fair. 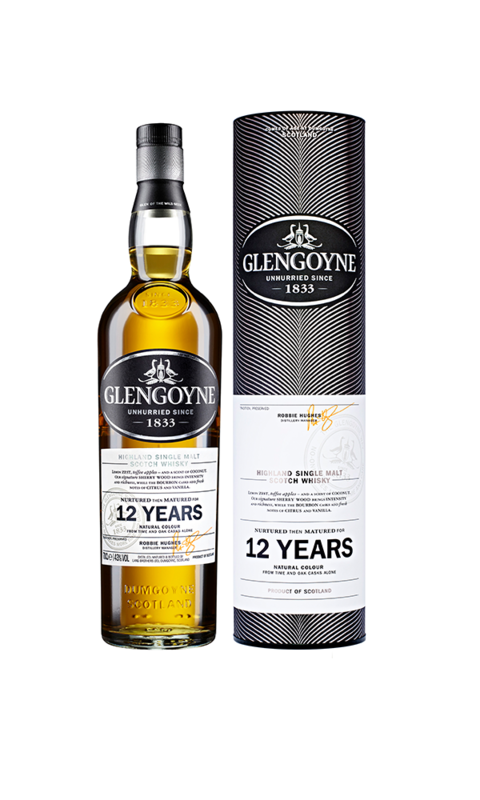 It is a treat to get the true tastes of Glengoyne at a good ABV, highly recommended. I will be making a trip to Glengoyne over the summer as it is only an hour away. I intend to enjoy one of their excellent tours or tastings probably both. I will try to sample the 25 and the 30 which I suspect may leap to the top of this year’s favourite drams. I certainly hope so. I will add a comment to this post once I do.